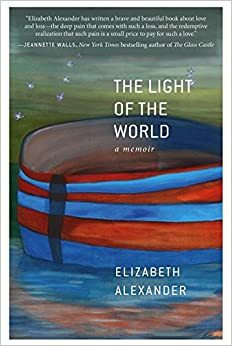 This was a sensitive and very touching look into Elizabeth Alexander’s life, losing her beloved husband, Ficre Ghebreyesus, very suddenly at a relatively young age. Recently I read Roland Barthes’ beautiful “Mourning Diary” about the death of his mother; “The Light of the World” seemed to be a more in-depth look at the mourning process in our age, taking into account additional things like culture, diversity, and migration. “Mourning Diary” was written by a philosopher/linguist, this memoir by an artist about an artist. It shows by the vibrancy in the words despite the loss, and the sense of loss experienced. When someone dies, the art, poetry, music, and plays that they loved are left behind and how we see them change. I think about death in this new age, the age of text messaging, digital photography. What do we leave behind and in what forms/mediums? I think about the importance of food and drink as cultural and also as comfort. I think about my own cultural and migratory history and how my body carries all that within it. This book was a very moving testament to an obviously very special and beloved man. Despite the tragic loss of Ficre, I see this as a very hopeful book. I’d recommend it to anyone. “What a profound mystery it is to me, the vibrancy of presence, the realness of it, and then, gone.